UPDATE (236pm): Celcom has clarified that Xpax subscribers are still able to choose the free and unlimited Internet Burung Hantu but they have forgo the unlimited onnet calls and higher data quota that comes with the new Magic Reload. Further explanation is available here. 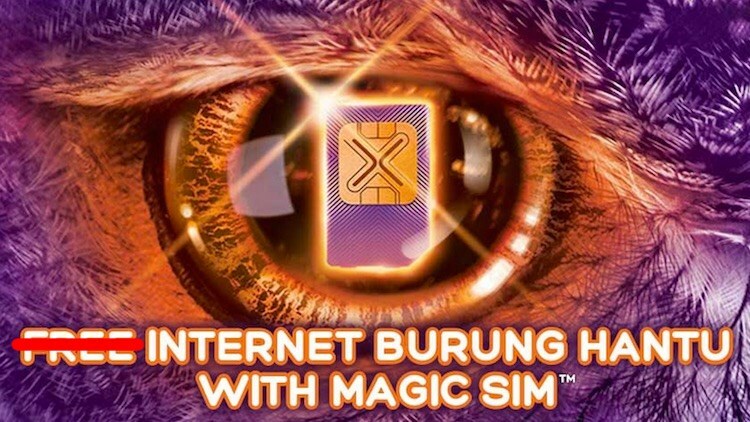 Looks like the rumors were spot on: Celcom has revamped the Internet Burung Hantu feature for its Xpax Magic SIM subscribers. Instead of offering free unlimited high speed data connection, the telco has implemented quota restrictions into it effective immediately. According to the USSD-based menu for Xpax subscribers, it clearly stated that they now need to fork out RM 2 to obtain 2GB worth of high speed data. For users that requires even more data during 1am to 7am, they should opt for the 10GB quota which is priced at RM 5. Interestingly though, Celcom has chosen to continue using the Internet Burung Hantu name. However, it is not known at the moment why the telco has decided to change the mechanics of its Internet Burung Hantu which is certainly one of the most interesting benefit under Xpax Magic SIM since it was introduced last year. We reckon that Celcom will likely to shine more light into the matter later today at the launch of its revamped M4gic SIM prepaid plan. So, stay tuned then.